Accepting the death of a loved one is never easy, and it is particularly difficult when the death is sudden and unexpected, such as following a routine medical procedure. Death in the wake of negligent medical treatment may give rise to a medical malpractice claim. While patients are informed of risks associated with medical procedures, catastrophic injury and death are not generally considered to be much of a concern. Consequently, when something tragic does happen, it is common and fair to ask what went wrong. The answer to this question lies at the heart of medical malpractice cases, and there are two types of lawsuits that can be filed for a doctor’s negligence – medical malpractice or wrongful death. As the names may suggest, deciding which one is applicable depends upon whether a person was injured or died. This determination may seem straightforward, and in most case it is, but with modern technology, disputes over this issue do arise. A California judge recently allowed a malpractice lawsuit to go forward, despite doctors declaring a teenage girl brain dead in 2013 following complications from a tonsillectomy. The girl’s mother has kept her on life support since this time, and provided testimony from a medical expert disputing the diagnosis of brain death. 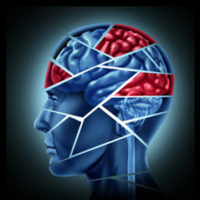 A discussion of how Florida defines brain death, and how the type of lawsuit one brings (malpractice vs. wrongful death) affects the types of damages a jury may award, will follow below. find that there is an irreversible stoppage in a person’s brain function, including the brain stem. Damages in medical malpractice and wrongful death cases represent the compensation a judge or jury thinks the plaintiff is owed due to harm caused by another person’s negligent or reckless behavior. There are two main types of damage awards – economic and non-economic. Economic damages refer to quantifiable damage, such as past and future medical bills and wages. Non-economic damages are harder to quantify, and relate to pain and suffering, inconvenience and mental anguish. In a case where a person is injured due to medical malpractice, he/she is very likely to need ongoing medical treatment for the harm, which could be a substantial amount of money depending on the person’s age and the severity of the injury. In wrongful death cases, the amount of medical bills is fixed and has a set end point, which means this amount is likely to be comparatively less. However, the Florida Supreme Court recently ruled the state’s limits on non-economic damages (pain and suffering) were unconstitutional, which means a jury can award whatever amount it deems fair. In personal injury cases, the suffering of the victim is the primary focus, and in wrongful death suits, the surviving family members receive more attention. An experienced medical malpractice attorney can advise a victim and/or the victim’s family on the likely damages awards they may expect. Facing a life-altering injury due to a doctor’s negligent treatment is overwhelming, and can seem like a lonely place. Do not let this unacceptable behavior go unpunished. Contact Miami’s Pita Weber Del Prado, a firm with a focus on medical malpractice lawsuits, to learn if you have a claim. Attorneys are available to assist you now.